A veteran of Digital Video, Bruce Nazarian was one of the world's first Pro DVD-Video Authors! Bruce Nazarian, "The Digital Guy" has worn many hats during his long career: Producer, Studio Musician, Grammy nominee, Recording Artist Digital Technologist and long-time veteran of both the music and computer scenes. He brings all of that unique experience to bear in his training efforts. He was CEO of Digital Media Consulting Group, Inc., and webmaster of both his own digital media info site, www.TheDigitalGuy.com, where he helped solve DVD and Digital Media technology problems, and his music website www.TheDigitalGuy.net. Bruce has toured the world as speaker, demonstrator and instructor for DVD authoring tools including DVD Studio Pro from Apple, and has been a AVID certified instructor on Pro Tools. An active digital media and technology evangelist, he was an in-demand presenter and trainer who has appeared at trade shows and taught DVD and BD authors and producers on five continents. 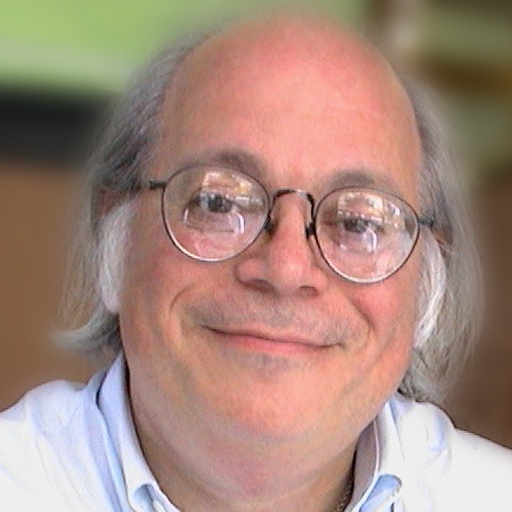 He was also the author of "Fast Path to Blu-ray for Mac", and two editions of “DVD Studio Pro – the Complete Guide for Authoring with Macintosh” (McGraw-Hill). He was the creator of Digital Guy Pro-Pack™ products, used by DVD authors world-wide. Bruce has worked with many producers like Don Was, Don Davis, George Clinton, Mike Theodore, and many many superb engineers all of whom helped craft his approach to engineering and producing. A truly priceless apprenticeship... all of which became part of The Digital Guy's approach to music making. During his many years as a studio musician, he shared studios and sessions with many of the legendary names in Motown music history: Funk Brothers guitarists Robert White, Eddie Willis, Dennis Coffey, keyboardists Earl Van Dyke, Ivy Joe Hunter, drummers Richard "Pistol" Allen, Uriel Jones, bass players Bob Babbit and Tony Newton, as well as percussionists like Jack Ashford, Jack Brokensha and Bongo Eddie Brown. Special memories include great sessions with super-arranger David van de Pitte. To sum tup, Bruce was a true renaissance man with his combinations of expertise with Digital Media and Music Technology. 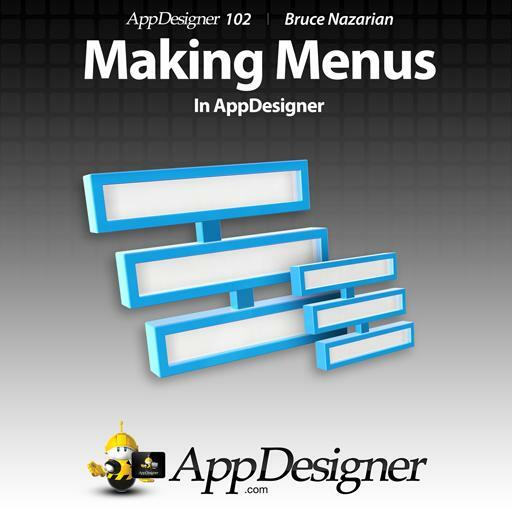 Learn how to make a basic AppDesigner project in these menu design tutorials by Bruce Nazarian! "If you have a great idea for an App concept, use AppDesigner to make it a reality. "Connect to a professional team of app developers by submitting your app with AppDesigner and also make some money from it once it gets approved and released. This is a course that will show you exactly how to quickly build your own app concept for the iPhone or iPad market, and that's without any programming skills needed whatsoever! If you've ever used iMovie or iDVD, this authoring application is not that much different. Even if you've never used an authoring application before, this course will take you step by step through everything that's needed for you to run AppDesigner so you can start making your first iDevice app. Just get your assets collected such as graphics and pictures, sounds or music, any web links or RSS feeds and get started. Bruce Nazarian is an excellent teacher able to present all the information in an easy to understand fashion, with plenty of basic examples and recap at the end of each video. Check appdesigner.com for more information on how it all works!